Admittedly, this isn’t the best picture, but I couldn’t find my good camera. So, please forgive me. I had a ton of broccoli and wanted to make a quick dish that didn’t dirty a ton of pots. Here’s what you need. 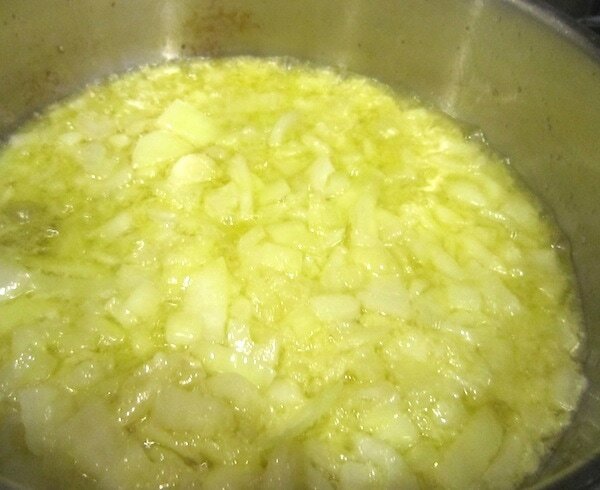 Saute the onions and garlic in oil for a few minutes. Add salt and pepper and then your chicken stock. Lower heat and cook for about 10 minutes. Careful not to burn. If the liquid looks like it’s draining too much – consider adding more stock. 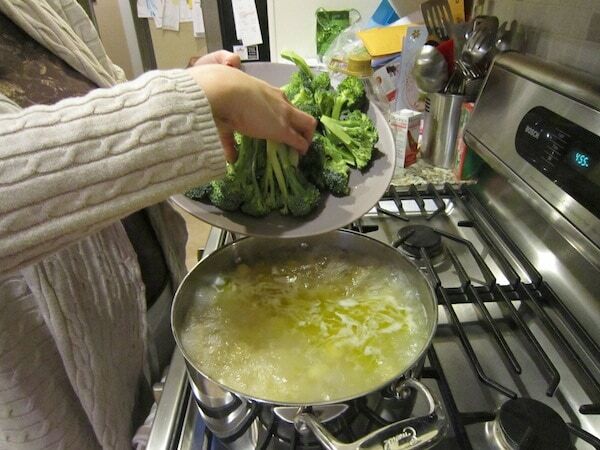 Boil your pasta as usual. 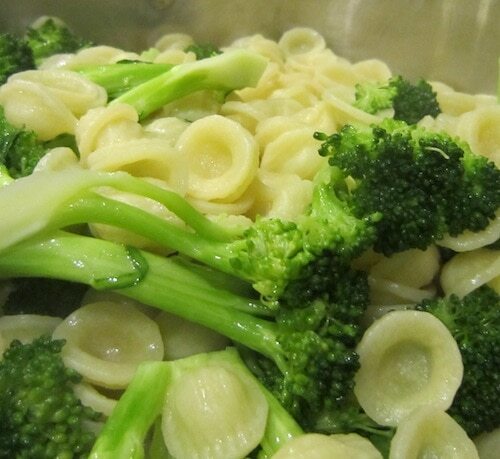 5 minutes before it’s cooked to your liking, add the broccoli to the pasta water. 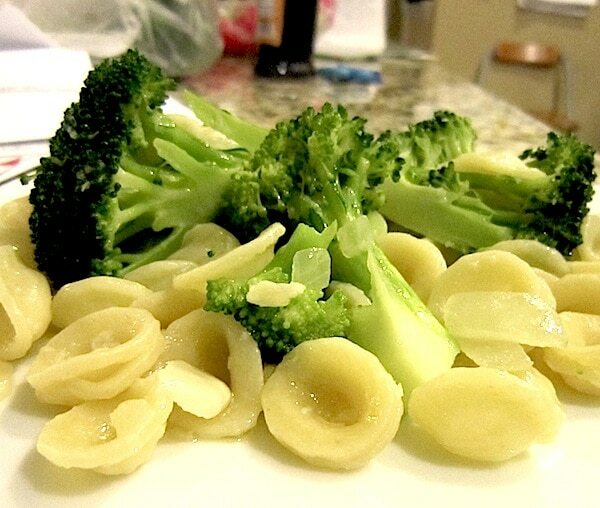 Allow the veggies to cook with the pasta. When you are ready, drain the water and place everything back in your pot. Add the oil, stock, onion and garlic mixture and salt and pepper one more time. It looks yummy! Thanks for the share. I have an off-beat question…I love the stove in the pic. Is it hard to keep it clean with the burners raised so high? I’m in the market for a new one, and the visual on yours is really appealing!